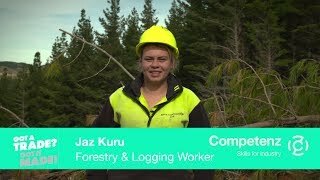 A new initiative, Māori & Pasifika Trades Training: Auckland, is connecting employers with a supply of skills and labour and giving Māori and Pasifika people greater opportunity to contribute to the future of Auckland. Across Auckland, employment rates for Māori and Pasifika sit at 58.8% and 56.6% respectively, well below the national average of 67%. Māori and Pasifika are also under-represented in the trades, participating at a rate that is lower than their participation in the New Zealand workforce. Māori & Pasifika Trades Training: Auckland is working to improve this situation. Competenz is a member of the initiative, along with other ITOs, mentoring organisations and training providers. The initiative, with backing from the Ministry of Business, Innovation and Employment and Tertiary Education Commission funding for 494 places, aims to increase the number of school students entering trades training and to raise their success rates. It will do this by removing barriers that make it hard for Māori and Pasifika learners to enter training, complete their learning and successfully enter long-term employment.